What a steaming pile of crap that movie was. It was heavy-handed, emotionally devoid, melodramatic, jingoistic in moments, and Emo Peter Parker really just sent it over the top in utter ridiculousness. There were several points in the movie where everyone was laughing or groaning, or even rolling their eyes and saying “whaaat?”, when it was meant to be a serious, emotional moment. I personally was lost about 35 minutes before the end, and wanted it desperately to be over. I stormed out the back pissed and yelling. People were getting mad at me as I swore at the movie. I didn’t care. Some girl was like “well, I liked it,” and all I could snap back was “You would.” I was just so mad I gave up good money, time, and sleep to watch what I could have ripped from Netflix. I almost think Sam Raimi MEANT to make this drivel. My guess is he wanted out of the Spiderman contract so he could have his schedule open for The Hobbit if New Line can’t figure out what they’re doing with Peter Jackson. My gut makes me hope that that was the case, and not the latter, that Sam Raimi ACTUALLY BELIEVED this was a good movie. The good parts of this movie were, suprisingly, James Franco (Harry/The Hobgoblin), and Topher Grace (Eddie Brock/Venom). I’ve frowned on James Franco as a pretty-boy wanna-be actor, especially considering his previous jobs between Spiderman movies. Here, finally, he really comes into his own. His character really makes the movie, really brings to life the torn psyche of Harry’s good and bad side, and how he chooses to balance it. 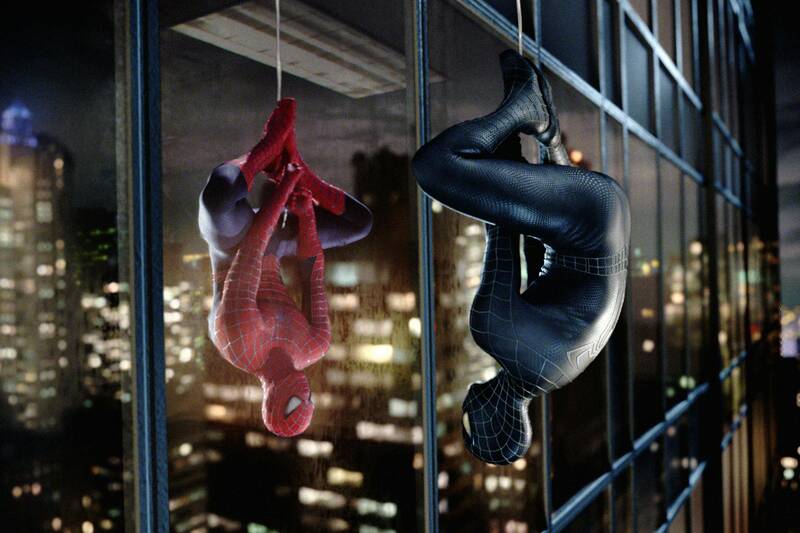 Not to mention the RIDICULOUSLY cool action sequence between him and Parker in the movie’s first act. Topher Grace knocks this character out of the park. The smarmy, ambitious Eddie Brock was nailed on the head with Topher. His alter ego in the form of Venom needed MUCH more screen time. I’m crossing my fingers and hoping that someone with some pull at Sony Pictures recognizes that Eric from That 70’s Show could have his own film franchise using Venom’s character. I have no misconception that they will miss this little jewel they found in their hand and throw it away with the detritus left over when the Spiderman 3 series enthusiasm cools, and people start debating which three-quel was worse, X-Men, Spiderman, or Godfather? I don’t think Transformers will be blockbuster hit my inner 8-year-old hopes it to be. The last good movie Michael Bay directed was ‘The Rock’. I find myself enthusiastically looking at the Pirate’s three-quel with a faded hope. I didn’t even really LIKE the Pirates of The Caribbean movies, but I thought they were OK. Now I look to them as the saving grace in summer blockbusters.